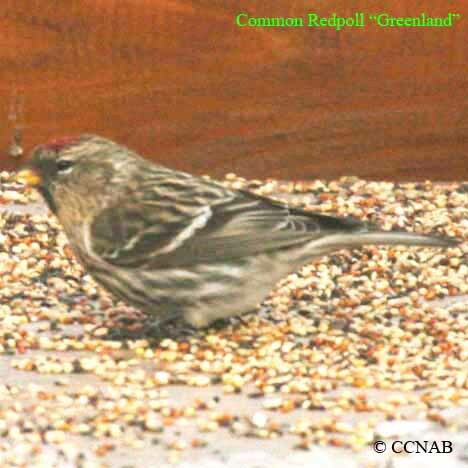 The Common Redpoll (Greenland) is a race or sub-species of the Common Redpoll. It is sometimes refered to the Common Redpoll (large-billed). This redpoll has a darker plumage and is the larger bird of the two. It breeds mainly in Greenland. 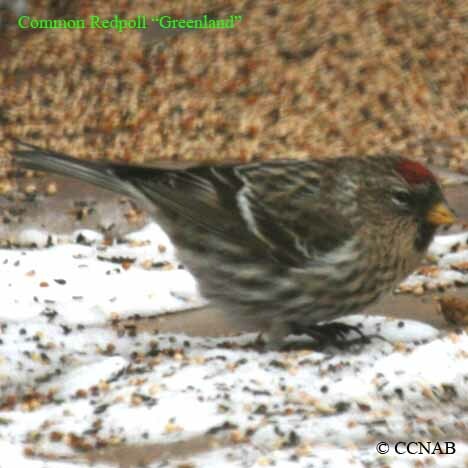 Small numbers of these redpolls are seen in eastern Canada and the northeastern US states, usually showing up around birdfeeders, mixed in with other redpoll species.